The 2016 summer trial was successful and showcased 607 plant entries representing 24 different commercial brands. 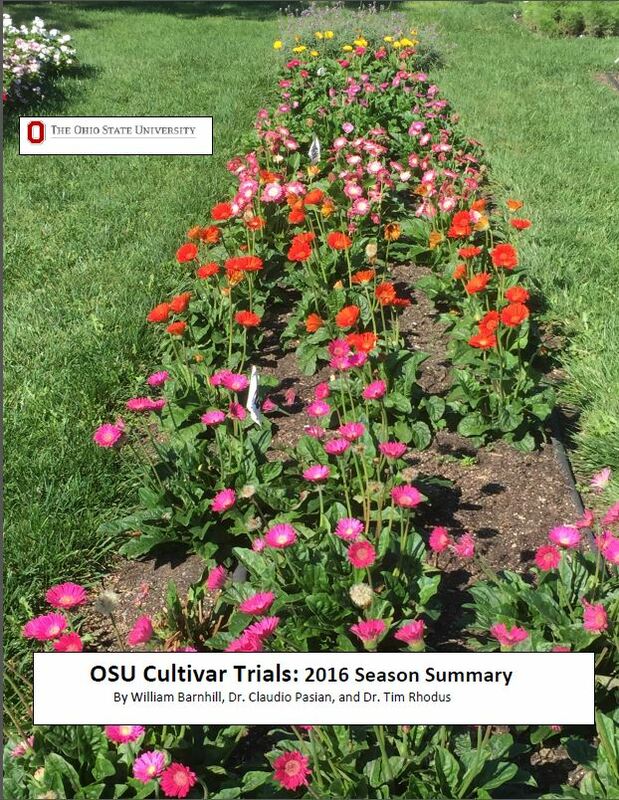 Details can be found in the OSU Cultivar Trials: 2016 Season Summary. If you missed the opportunity to evaluate our plants during Cultivate 15, do not miss this second chance to evaluate plants responses to a very rainy spring and summer. OCNT, Landscape Industry Certified, and pesticide credits will be available. Cost: $15 (before July 11) or $18 (after July 11). This will cover the cost of the box lunch, refreshments, parking permit, and handouts. Send a check payable to The Ohio State University, attention Claudio Pasian, at the address listed above and call Dr. Pasian at 614-292-9941 indicating the number of participants. With your car, come first to the turnaround of Fyffe Court (in front of the main entrance of Howlett Hall) and someone there will give you the parking permit. Proceed then to park your car and come to 103 Kottman Hall. The following article was first published in the June 2015 issue of the Buckeye Bulletin, ONLA. 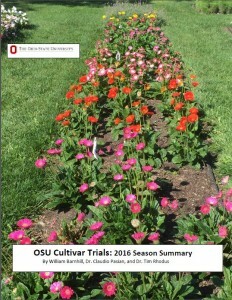 This article describes the Ohio State University Cultivar Trials and how an app was created to assist in organizing and managing the evaluation and communication program for the garden. Initially conceived by Dr. Claudio Pasian in 2002, the Ohio State University Cultivar Trials are conducted each year in order to evaluate ornamental bedding and container plants. The objective of these trials is to observe the performance of new and recently introduced cultivated plant varieties under environmental conditions typical of central Ohio. The OSU Cultivar Trials contain four categories of plants: field (ground beds), containers in the sun, containers in the shade, and hanging baskets. During the growing season, all plants are evaluated four times by Master Gardener and Chadwick Arboretum volunteers. 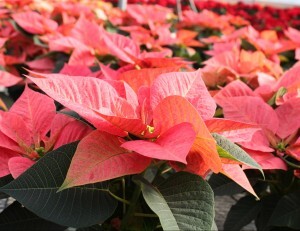 These consumer evaluators are asked to rate each plant from 1 – 5 on how well they “like” the plant. Additionally…….